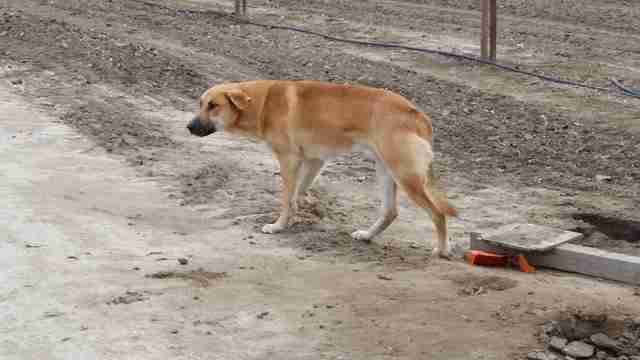 Every day, countless dogs are cruelly abandoned by their owners in the United States. But while this may be seen as an easy fix for people wanting to rid themselves of unwanted pets, for those animals they leave behind, nothing could be more devastating. Fortunately, there are folks working tirelessly to save deserted dogs - folks like Brooke Rapozo, from Kings SPCA in California. After coming to the aid of one such animal, found this week dumped all alone at the end of a dirt road, she penned the perfect open letter on Facebook, aimed at the person responsible. With Rapozo's permission, we have reprinted the unedited letter in its entirety below. Despite all this dog has been through, he is one of the lucky ones. To learn about how you can help, contact Kings SPCA or your local animal shelter. Click here to find out what to do if you encounter a dog who may have been abandoned.